We’re really buzzed by how our customers apply VisibleThread Web. These usage scenarios range from marketing to compliance and risk. Like so many things in life, Jason (my co-founder at VisibleThread) and I fell into this web scanning stuff somewhat indirectly in late 2011. Jay is the engineering guru behind the Grader. So I wanted to blog a little about what motivated us to originally create the product. You might be interested in the back story. The original motivation for doc scanning was 20 years of pain reviewing large documents. You know the thing, 150 page MS Word or PDF docs. So we created a way to scan document content for ‘clarity’. This cut out a lot of manual legwork. This is VisibleThread. It saves tons of time for our customers, some of whom are the leading US Government contractors. We created VisibleThread Web with this same goal in mind, only this time for web sites. We wanted to pin point the weakest content really quickly. Complex language damages your online message and kills brand trust for your customers. But, who has time to trawl through a gazillion pages on sites, micro sites and increasingly mobile sites? Certainly not the marketing people I know! Given the ever-increasing volume of web copy across sites and micro sites, making sure your brand message is clear and consistent is quite hard. It is really quite a manual process. It’s time-consuming and costly. Understanding the importance of web words is more important than ever. Since manual reviews are painful and costly, they are often skipped. 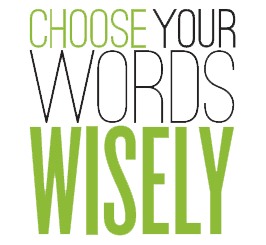 Yet your brand value is damaged by difficult language and your communication is compromised. Enter VisibleThread Web. Slice through loads of content really quickly. We’ve come a long way, and we continue to add new capabilities and fresh ideas. Helping you understand the importance of web words is our primary focus. Let us know if you’d like to see anything in the product using the feedback buttons on the site. If you want to see how your web site content scores for transparency, or even just to play around, sign up for a no-obligation 7-day free trial of VisibleThread Web.